Once you have decided that it may not be best to try to do it all yourself, and you think you have a song that is good enough to get professionally mixed, you need to prepare your tracks to send to the mixing engineer. Most professional mixing engineers will be happy to tell you what formats they accept and how to get your tracks into the proper format to deliver to them. However, before you even begin the process of getting the tracks in the proper format, there are several things you need to do to avoid additional time and expense. As a professional mixing engineer myself, these are the things that I consider outside the range of normal mixing duties, and that I will charge extra for if they weren’t done before the files are sent to me. Send ONLY the audio that you want included in the mix. Yes, it’s great that modern DAW systems allow you virtually unlimited tracks, and you can do multiple vocal takes, guitar solos, etc., and sort it all out later. However, sorting out takes and comping together a final part is usually NOT part of the mixing process. I consider that part of the production process, and it’s something that the artist and producer (if they are using one) should figure out BEFORE they send the tracks off for mixing. It takes quite a bit of time to go through multiple takes and comp together a killer final take, and much of that is an artistic production decision, and not something that should be decided by the mixing engineer unless you are also hiring them to help produce your song. When someone hires me to mix their song, I usually try to come up with a flat rate based on how long I think it will take me to get a good mix after listening to the rough demo from the artist. I don’t factor in comping/editing time into my price, so if you send me 10 takes of a lead vocal and expect me to try to sort through and pick the best parts from each take, that’s going to take at least a couple extra hours of work that I will charge you for, and will also take me out of the mixing mindset and creative space that I try to get myself into when mixing. In the end, it will just take longer to get the mix finished, and will cost you more. If you really have trouble picking the best parts of multiple takes, then you should definitely consider hiring a producer to help you with the entire recording process, so you can get that all sorted out and ensure that you have a great part comped together before you send it off for mixing. Clean up your tracks! This relates a little bit to #1 above, in that you don’t want to send anything to the mixing engineer that you don’t want included in the mix. However, for this point, I’m talking about extra noises, and sloppy edits. More often than not, I’m sent tracks that have noises between parts that haven’t been edited out, or that simply have poor edits that create a click, pop, or glitch at the edit point because the didn’t do a proper cross-fade, or fade in/out at the edit points. You may not hear little noises like shifting around in a chair, turning a page, lip smacks, etc., when you are recording and listening back without any processing. But, once you start adding compression and other processing to tracks in the mix process, many of those noises that used to be lost in the mix may be brought more forward. Again, that takes me out of my creative mindset if I have to start soloing every track and listening through for random noises and poor edits. That’s editing, NOT mixing! That’s extra time that I’m not actually spending on mixing, and will cost additional if it takes me more than a few minutes to fix. Pitch & Timing Correction. In the world of pop music, everyone wants the pitch and timing to be perfect, and so everything gets edited and corrected to death these days. While I’m not a big fan of this, I understand that it’s what is popular. However, pitch and timing correction is extremely tedious and time consuming work, and is also NOT something that I consider a normal part of the mixing process. In fact, if you hired me to produce and record your song, I would have you simply re-record the parts to fix pitch and timing problems the more natural way, and save digital fixes for a last resort. Of course, there are times where you may want to use the popular (and much over-abused) “auto-tune effect”, which is a bit different as that is more than a special effect that could be added during mixing, as opposed to trying to transparently correct pitch or timing. I personally try to avoid pitch and timing correction as much as I possibly can, as even small amounts can be noticeable, and I prefer a more human feel to the overly corrected sound. But, if you are going for that perfect pop sound, you should try to do as much of the pitch and timing correction as you can before you send the tracks off for professional mixing. If you aren’t good at doing this yourself, then you should hire someone who is. The worst thing you can do is slap auto-tune on an insert on your vocal and set it to automatic mode!! If that’s your idea of pitch correction, the I prefer that you send me the raw track and pay me extra to fix it the right way. It’s MUCH better to use the graphical mode on whatever tuning software you prefer, and then simply nudge the curve a bit ONLY on the parts that are out of tune, and perhaps do a touch of straightening if necessary. If you don’t want the tuning to be noticeable, then this all has to be done delicately and properly. It can be very time consuming to do a good job. Same thing with timing corrections. If you have a live drummer who can’t play a steady beat, and you can’t afford to hire a pro to record better drum tracks, then trying to correct the timing through editing can again be a very time intensive process if you want it to sound good. There are no easy shortcuts for timing correction, especially for instruments like drums that are recorded across several tracks. Sloppy editing and/or poor fades can just make things worse. If you are not good at this, then pay someone like me to do it for you, but understand that it is not part of the normal mixing process. Turn off ALL processing & effects! Don’t cripple your mixing engineer by sending them tracks that have already been rendered with processing or effects, unless it is an essential part of the sound. If you already did some EQ, Compression, or other processing on tracks within your DAW (as opposed to any analog processing you went through when recording), you should turn those off or bypass them when you render the tracks for mixing. There’s nothing worse than getting tracks that have been compressed/limited to death, or have an overly harsh EQ applied. Those types of processing can’t be undone very easily (or at all) in the mixing stage, and I guarantee that the mixing engineer will have better tools and can do a better job of it if you just send them the raw, unprocessed tracks, exactly as they were recorded (after any comping, editing, cleaning, and tuning that may be required). Similarly, most synth sounds (hardware or virtual) are bathed in lots of reverb, chorus, and/or delay to make them sound great on their own. However, many times those effects are just too extreme when you are trying to fit them into a dense mix, or they are simply not appropriate for the song. 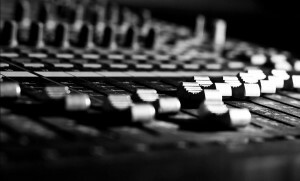 A professional mixing engineer will usually have MUCH better sounding reverbs and digital effects at their disposal and can pick the right type and amounts that will work well in the context of that particular mix. So, when you record your hardware synth parts, or render your virtual instrument parts to audio, make sure to turn off those types of effects. There are exceptions, of course. Sometimes those effects are an integral part of the sound, and it totally changes the sound if you bypass those effects. It may be a special timed multi-tap delay that creates a rhythm that you based your song around, or a very unique flange or phase type effect that is very important to the overall tone. In those cases, you may want to send the mixing engineer two versions of that part, one with the effects on and one with them turned off. That way he knows what it’s supposed to sound like and can work with the track that has effects on it, but can also use the “dry” track if needed to make things fit together better and use the effected track as a reference to recreate the sound, minus whatever he needs to change. In most cases, you should at the very least turn off any reverb and let the mixing engineer pick better reverbs that work well together in the mix, as too much reverb, or poor sounding reverb, can easily screw up the entire mix. Label your tracks properly!There is almost nothing more frustrating than getting a project to mix that has 100 or more tracks, all with file names like audio01, audio02, etc. That’s simply lazy and an unacceptable practice! All files & tracks need to be labelled with useful and meaningful names so that the mixing engineer can quickly figure out what is what. Otherwise, they end up spending a great deal of time soloing every track, listening, and naming all the tracks. Also, if you have a lead track, and some doubles, it won’t be clear which one is supposed to be the lead and which one is the double if they just have generic names. Use proper names for each track, and try to stick to common practices as much as possible. For example, a typical rock drum track layout may include tracks like Kick IN, Kick OUT, Snare TOP, Snare Bottom, OH-L, OH-R, etc. Try to stick with names that are common and make it absolutely clear what they are. Abbreviations are fine if they are commonly used and well known, such as OH for overheads, SN for snare, VOX for vocal/voice, etc. Properly naming your tracks will save your mixing engineer much time and frustration! Consolidate & Export. The final step in preparing your tracks is to consolidate and export your tracks. If your mixing engineer isn’t working with the same software you are using, you need to send him a separate audio file for each track, and ensure that all of those audio files all start at the same point in time (time zero, for example), so that the mixing engineer can simply import all the tracks into his software, line them all up with the same start time, and everything will play back with the proper timing. Even if your engineer is using the same software, and can open your project files directly, it is still a good idea to consolidate each track and export the entire project to a new project folder with only the newly consolidated audio files. That way you aren’t sending them a huge amount of extra audio that you aren’t using in your project (multiple takes that weren’t used, or several entire takes that were used to comp together one good track). When you are consolidating and exporting your tracks for mixing, be certain you know how your particular software functions, and whether or not any inserts or other processing will be included when the track is rendered (see #4 above). For example, in Pro Tools, if you use the Consolidate Regions command, it will just create a single file from all the regions in the area that you highlight, but will NOT do any processing from plugins you may have inserted on the track. Similarly, Cubase has a Bounce Audio command that does the same thing, without running the audio through the insert plugins. Each software DAW has its own methods of consolidating and exporting tracks, and uses their own terminology, so I won’t try to cover them all here. You can easily find that info in your user manual, or with a quick online search. Referring to #5 above, make sure that when you consolidate and export your tracks, the proper names are retained! If not, rename the files yourself before sending them off to the mixing engineer. Following this steps for preparing your files for professional mixing will save you money, and is the proper thing to do if you want to maintain a good working relationship with a professional mixing engineer! It saves the mixing engineer time and frustration, and lets them concentrate on mixing. Keep your mixing engineer happy!